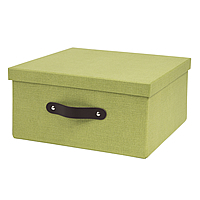 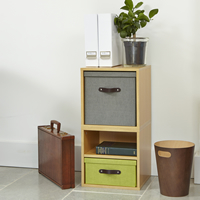 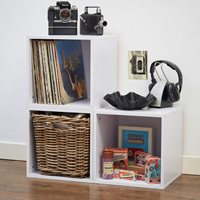 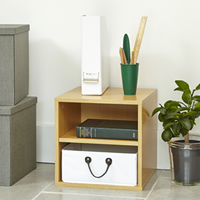 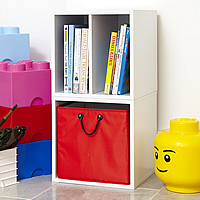 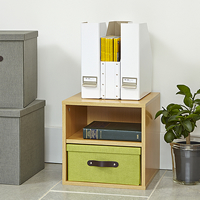 Our set of 2 wooden modular storage cubes for the home office is available in either a white or oak finish and comes complete with one small lime green and one large grey lidded box inside to really swallow the office clutter. 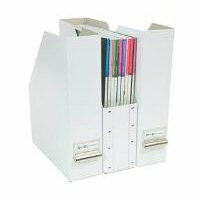 Each box is made from a canvas effect reinforced fibreboard making them great for withstanding constant daily use and for storing bulky paper work, files etc. 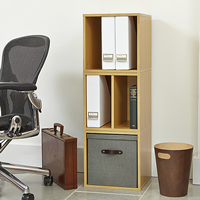 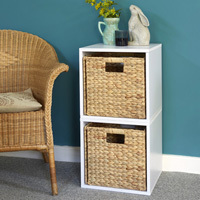 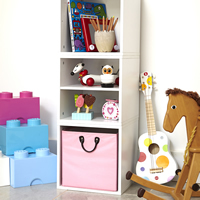 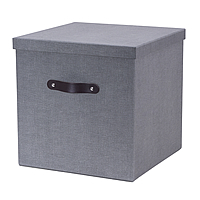 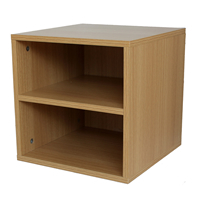 Why not use a few of our storage cubes in any configuration that suits to have an office storage solution personal to you. 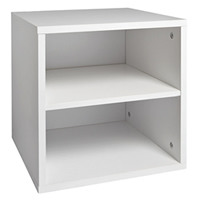 The dimensions given are for the configuration as shown. 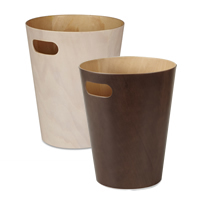 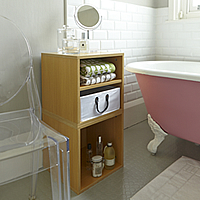 If the combination above isn't quite what you're looking for, then why not create your own modular solution using our cubes and baskets which can be found by clicking here.